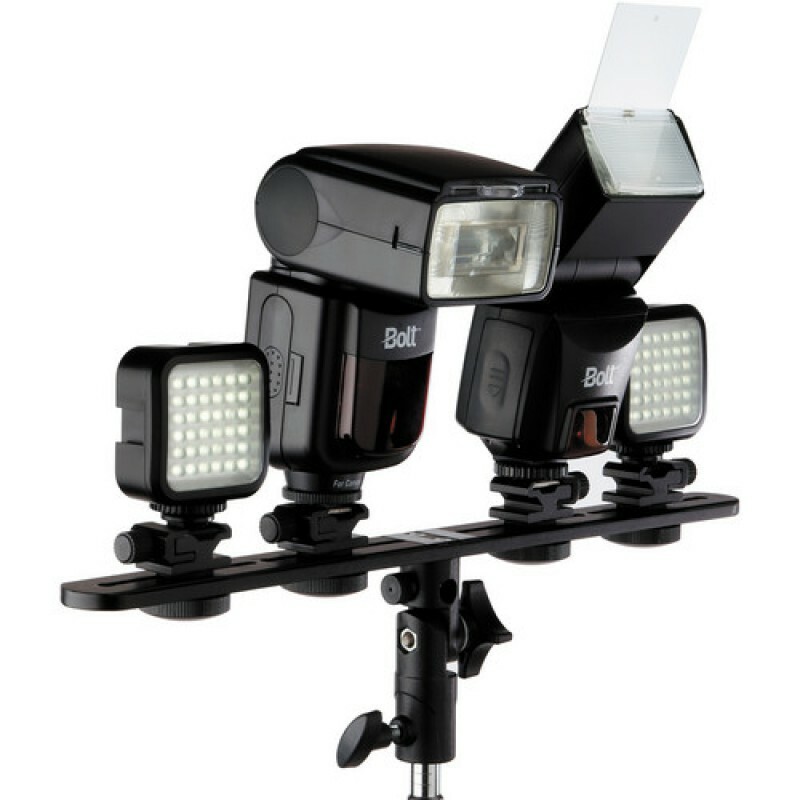 The Lightbar Tilt Bracket with 4 Locking Shoes from iStockOnline is a convenient accessory that allows you to double or quadruple your flash power while softening the output and widening its coverage with an umbrella. 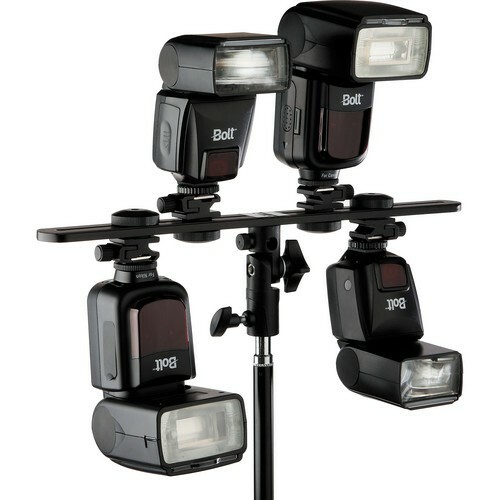 The T-shaped Lightbar has 4 insulated locking accessory shoes for mounting up to 4 speedlites or a combination of speedlites, batteries and radio receivers. 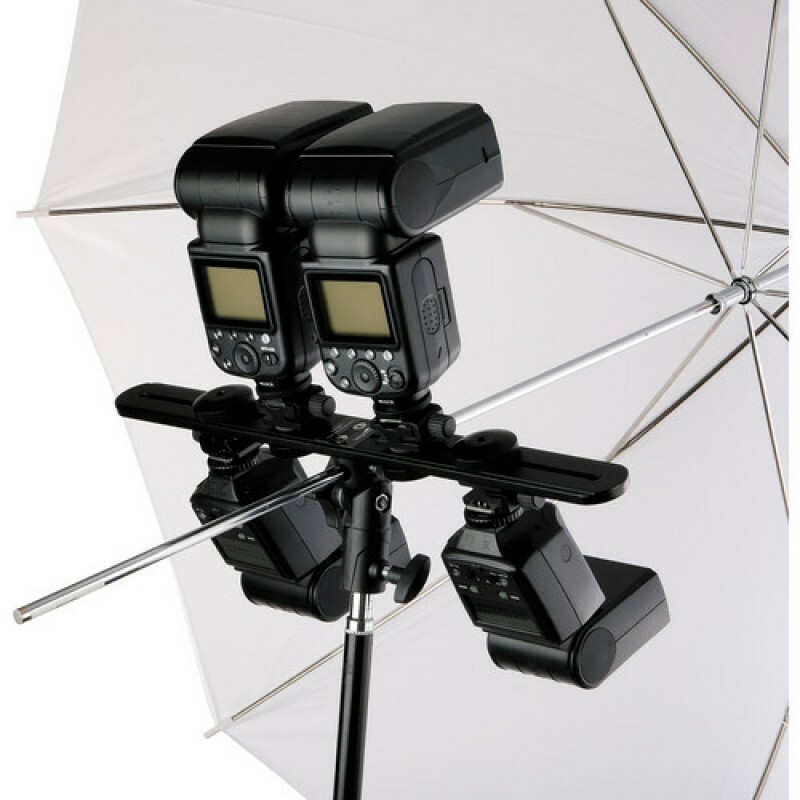 You can also use any of the shoes for an LED or quartz modeling light or for four constant light sources. 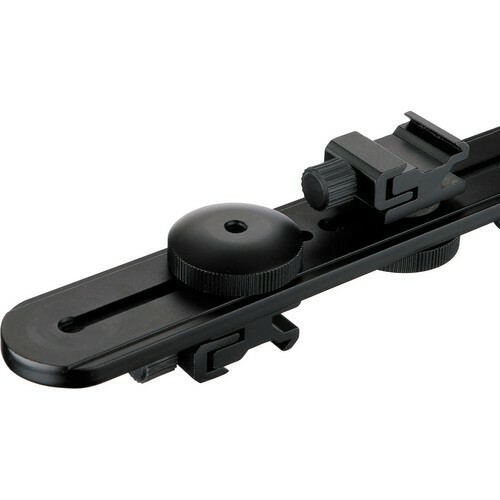 The shoes are easily removable if desired. 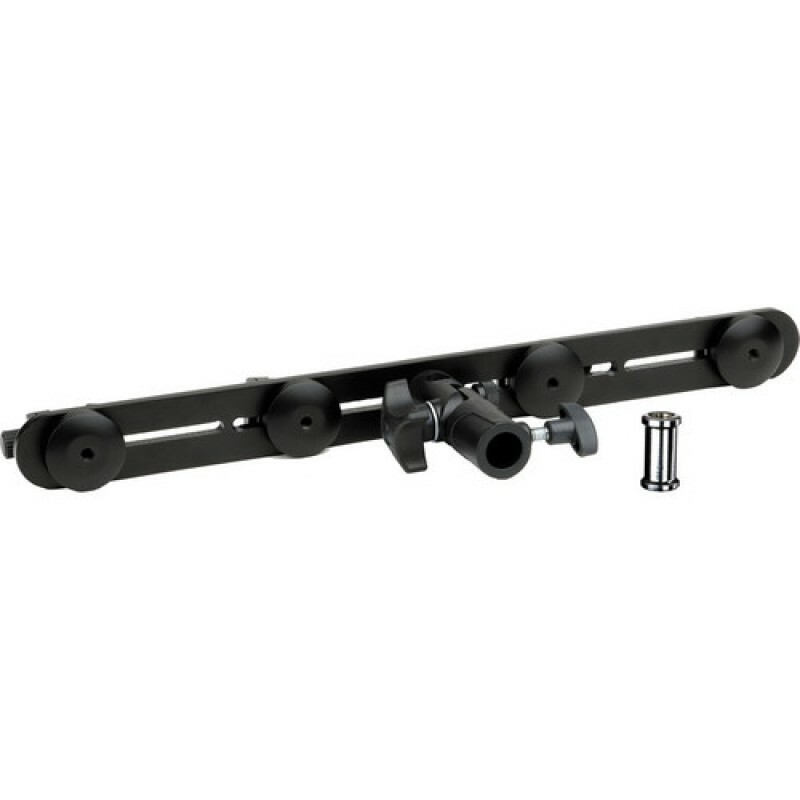 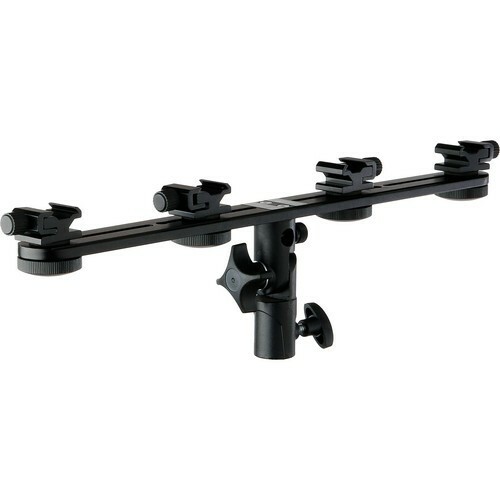 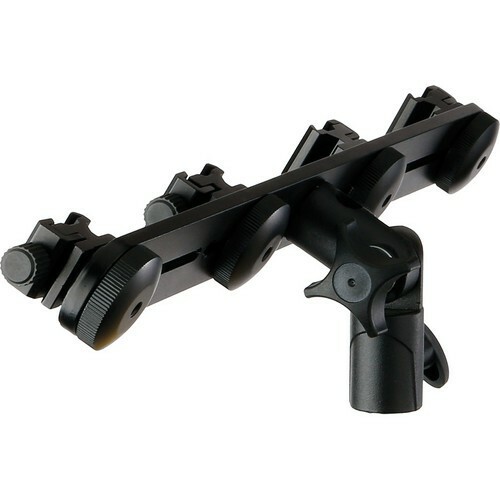 The 5/8"" stand mount tilts 180 degrees and has an umbrella receptacle for standard 7-8 mm umbrella shafts. 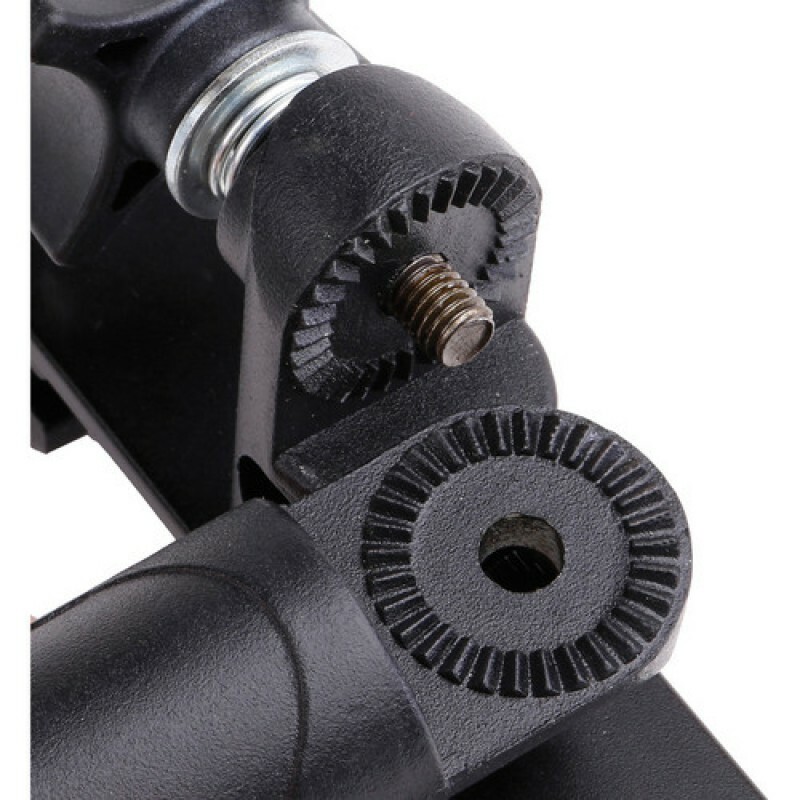 It can also be attached to a tripod via an included reversible spigot with 1/4""-20 and 3/8-16"" female threads. Flash units not included.